Valentine’s Day is upon us, which means chocolate is very much top of mind for this little lady. For moi, the darker the better. 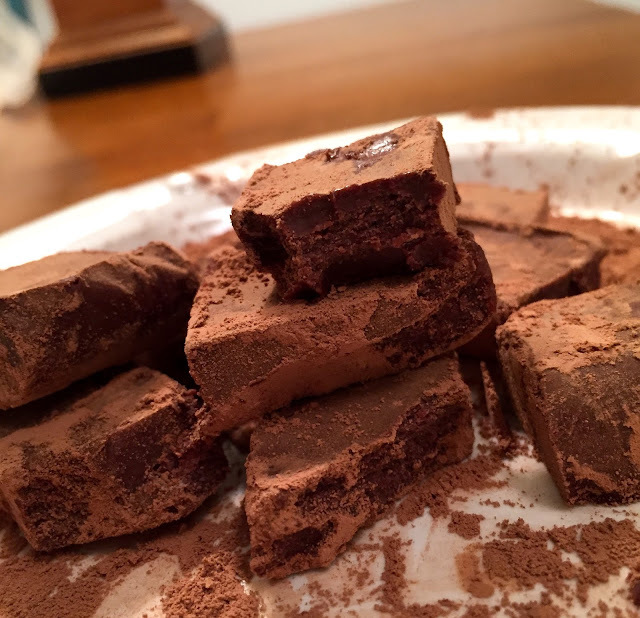 I love the deep, rich flavors of cacao, mixed with as little sugar as possible to keep that rich, teetering-on-bitter flavor. 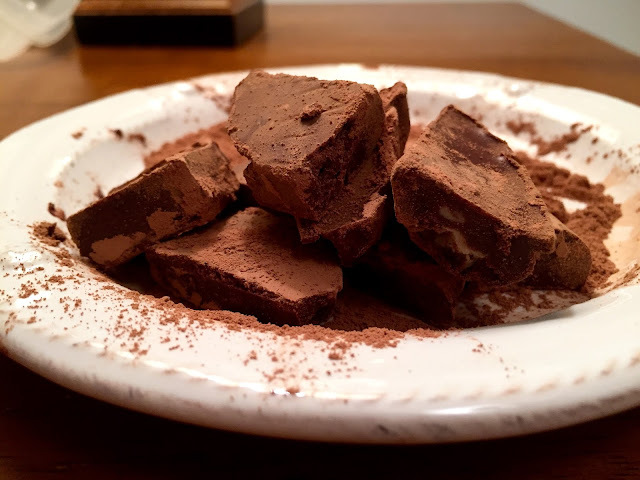 So when I came upon this 3 Ingredient Tahini Chocolate Truffle recipe—two-thirds of which are 70% pure cocoa or greater—I was hooked. 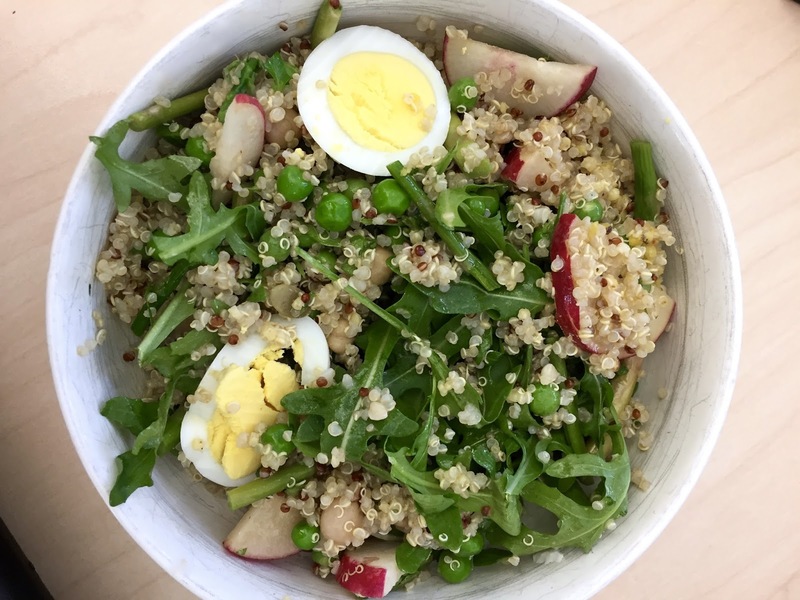 When I discovered the third ingredient was tahini, I was sold. The recipe is really just two ingredients, dark chocolate and tahini. The third, unsweetened cocoa powder, serves a predominantly aesthetic role, reserved for dusting at the end to make the chocolates pretty. 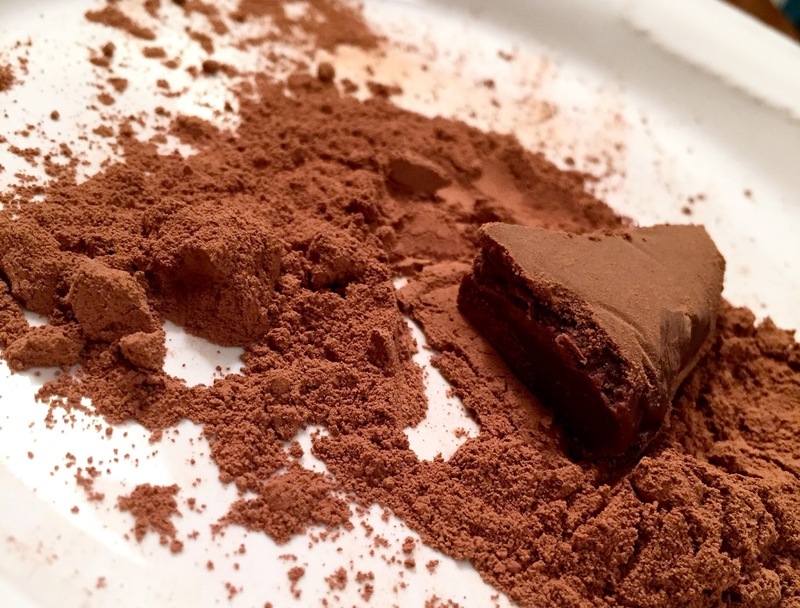 Might so few ingredients in a truffle make it bland, or lacking in flavor? Truth be told, just the opposite. The two ingredients are so wonderfully complex, they almost make a mockery of the idea. 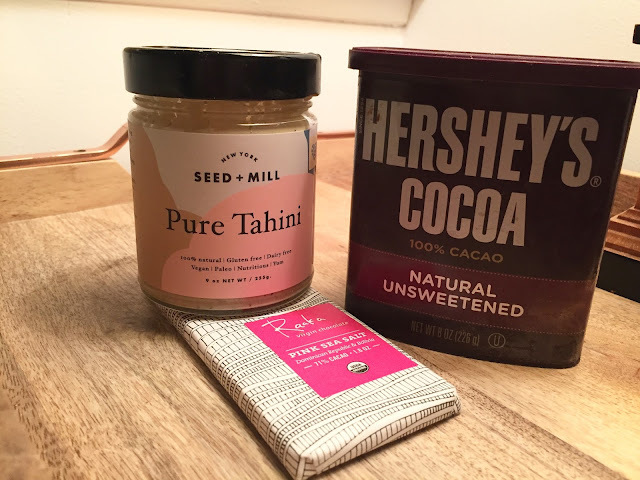 The chocolate is sweet and rich, with undertones of vanilla, while the tahini is nutty and buttery; I would argue, the most flavor-nuanced fat source there is. Together, they are a gourmand delight, an unparalleled zenith of luxurious, silky flavor. And while their taste is certainly fancy, the prep is anything but. 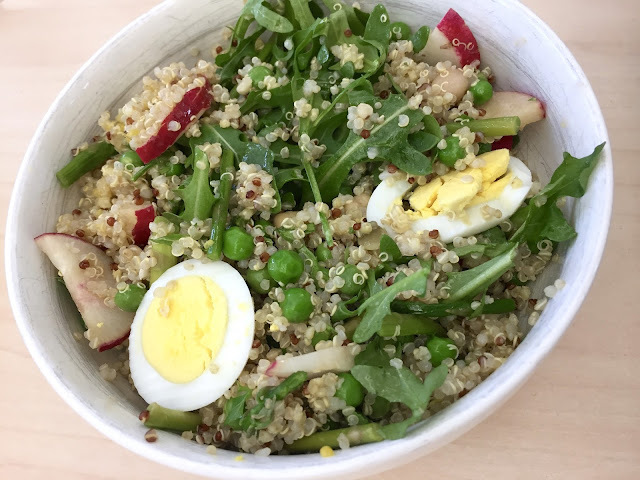 It’s actually comical just how unfussy this recipe is. 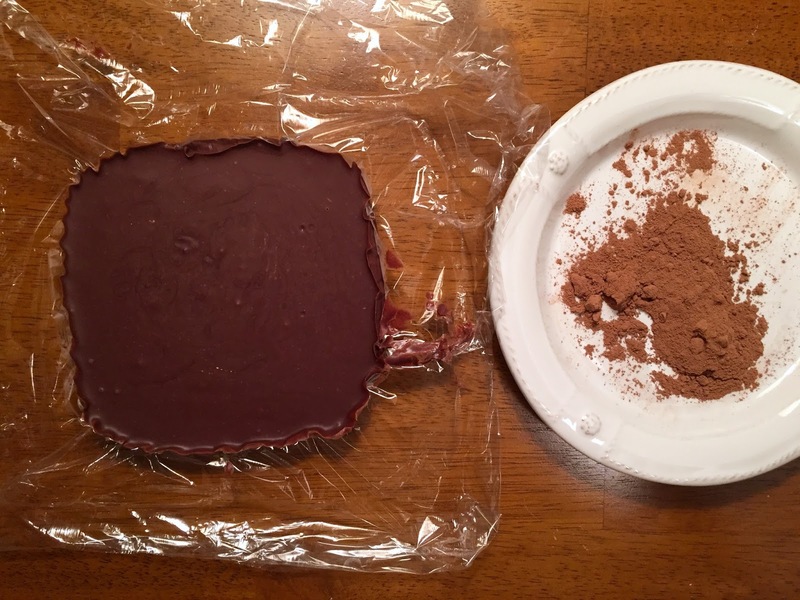 Even parts dark chocolate (melted) and tahini are stirred together, then poured into a baking sheet lined with plastic wrap. After an hour in the freezer, this truffle-block is ready to be cut into any shape you please. 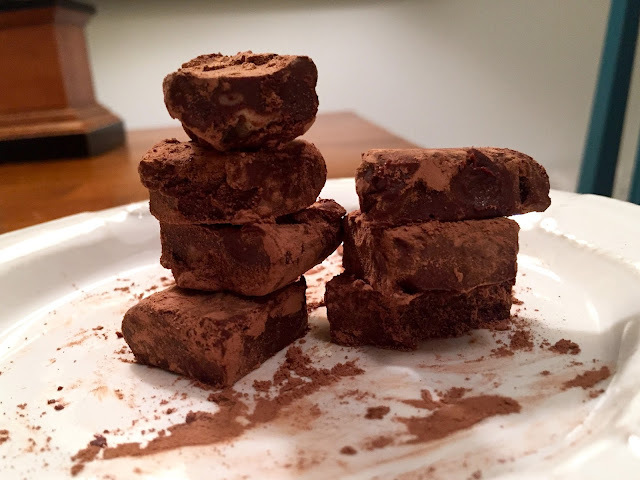 Mine naturally formed into mismatched rectangles, which after being rolled in the cocoa powder, managed to look awesomely cosmopolitan—like they belonged on an artisan chocolate shop shelf next to your most extravagant, hipster chocolate bar. In reality, not so much. 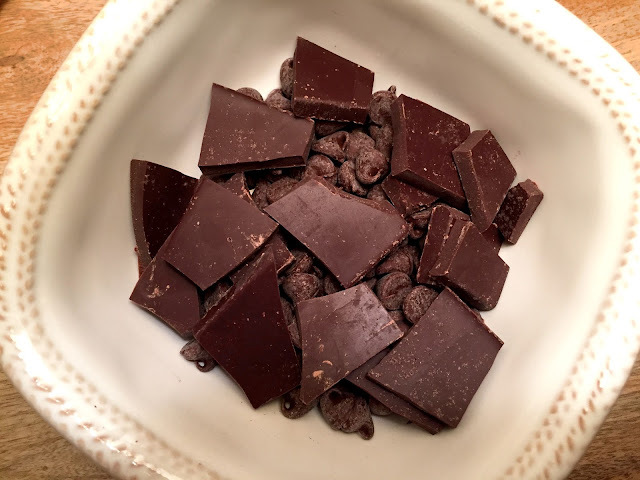 I used half a bar of Raaka dark chocolate (admittedly fancy, that was a gift) and half of the Nestle semi-sweet morsels I keep on hand for baking. 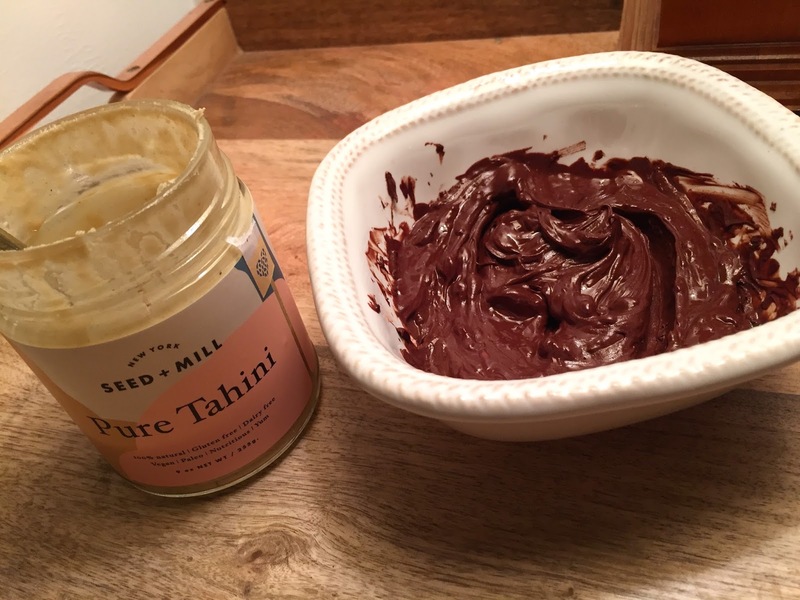 For the tahini, I used Seed + Mill brand—where this recipe hails from, and the only tahini I recommend. As I wrote about in a previous post, Seed + Mill sources their sesame seeds from a small town in Ethiopia, called Humera, where climatic conditions make their tahini wonderfully, naturally, sweet. (It's also the reason why no one will believe you when you tell them these truffles have zero added sugar). If you like, feel free to experiment with using spices to dust in tandem with the cocoa powder, maybe a sprinkle of sea salt, cayenne, or cinnamon. That being said, this recipe is true to it's name, and I assure you that the 3 ingredients alone indeed yield perfection. And health! Both the flavonoids in cocoa and phytosterols in sesame help lower cholesterol and contain anti-inflammatory properties. 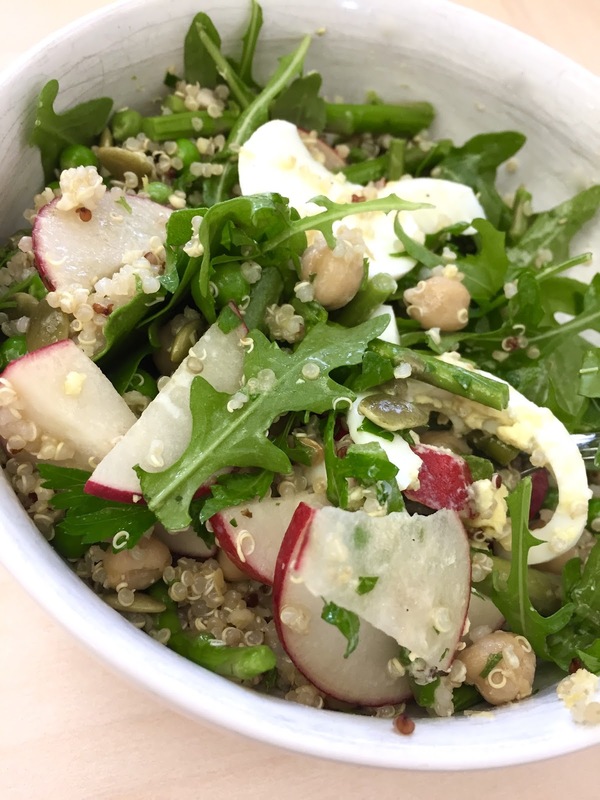 The ingredients are also mineral powerhouses, with significant sources of iron and zinc. They are even linked to healthy skin—flavonoids fight against skin damage and free radicals, while sesame's high zinc and copper content aid in collagen production. 1. 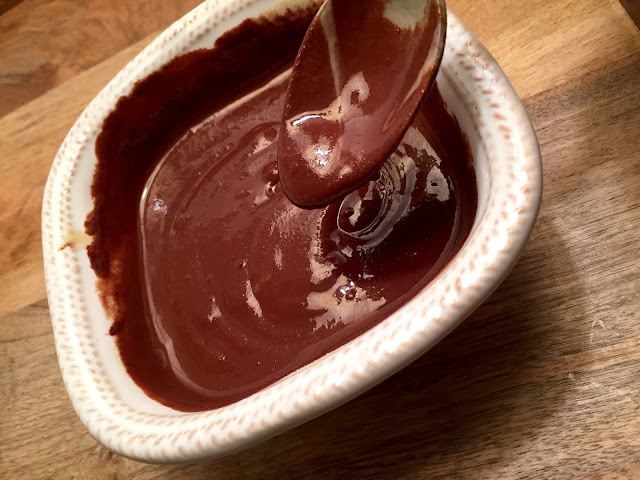 Melt chocolate in a bowl, add tahini and stir to combine. 2. Line a loaf tin with plastic wrap and pour in the chocolate mix. Place tin in freezer for 1 hour. 3. 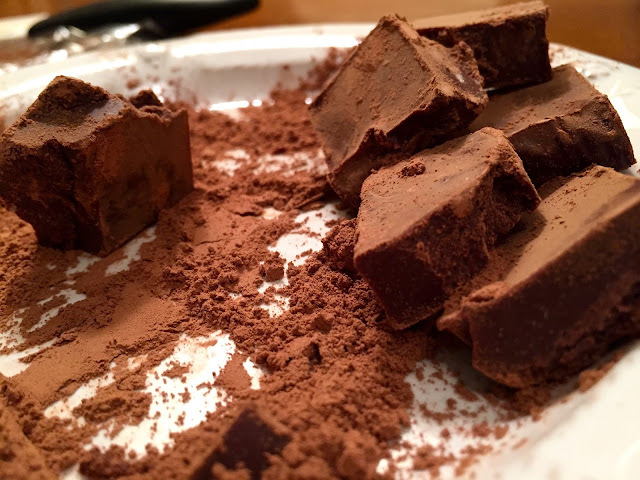 Remove chocolate from plastic wrap and slice into squares, rectangles or any abstract shape you like. 4. Dust with best quality cocoa powder.